For Rob Noel, returning to Louisiana to teach golf was the fulfillment of a lifelong ambition. Born in Abbeville, LA, Rob's early devotion to the game was accompanied by an eagerness to help others improve. "I was the kid who always took golf lessons," he remembers. "And the reason I became a teacher was because I couldn't wait to come back and show my friends what I'd learned. Because of that, I believe I always had a knack for teaching and a passion for it." 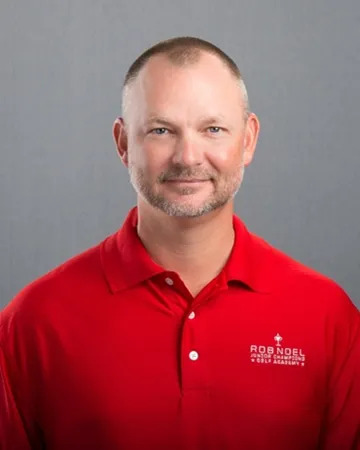 Players of all levels have significantly improved their games at Rob Noel Golf Academy through Rob's focused instruction. 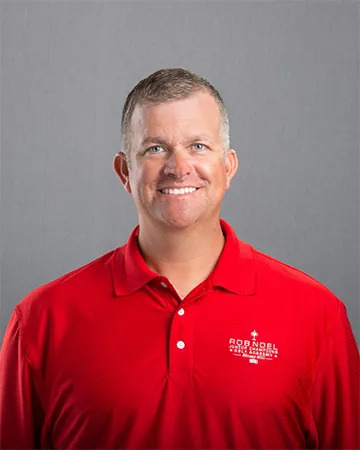 Included as students are PGA Tour players Brian Watts, 1998 British Open runner-up and 13-time winner on the Japan PGA Tour, Kelly Gibson, fourteen-year tour veteran and Nationwide Tour two-time winner and Beth Bauer, Member of the LPGA Tour and 2002 LPGA Rookie of the Year. John Riegger, Nationwide Tour 2007 LaSalle Bank Open Champion and 2004 Ryder Cup Member, Chris Riley. Others that have sought Rob's instruction include tour veterans Brian Gay, Grant Waite, Scott Verplank, and Craig Perks. Rob takes pride in reaching out to golfers, showing them how to become better golfers in a language they can understand. "There is nothing better than watching the expression on a student's face when they have perfectly executed what they've learned and the golf ball has just exploded off the clubface and is screaming to the target." Nic is responsible for our renowned "Junior Champions Academy" where our focus is to BUILD FUTURE CHAMPIONS by incorporating golf skills, physical fitness, and life skills in each of our programs. His passion for junior golf is contagious and feels that we can positively impact a child's life (through confidence and character) by improving their game and preparing them for competition. The Academy is proving to be the most comprehensive junior golf program of its kind and offers a wide variety of programs. Nic says, "Our goal is to create a system whereby any child, regardless of skill level, will have a program tailored to meet their objectives." So whether your child is just starting the game or is skilled enough to participate in an elite college-prep program, the Rob Noel Golf Academy will have a place for all students who want to learn more about this lifetime game and have a fun time doing it! Michael began his golf journey in 1992 as a student of Rob Noel. In 2011 He entered into the golf business opening practice/learning center in Springfield, LA. He has been passionately helping golfers improve their games ever since. Shortly after that he accepted a position as Director of Instruction at Carter Plantation. Most recently he was the Head Golf Professional at Oak Knoll in Hammond. 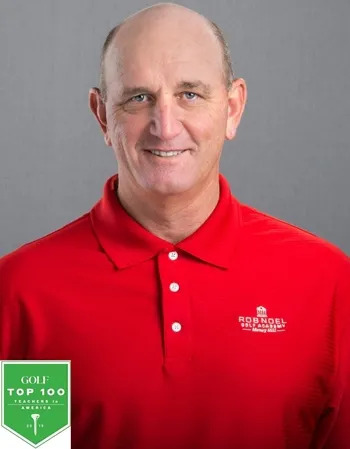 Michael holds many certifications and has studied for 25 plus years under his mentor and Golf Magazine Top 100 Teacher, Rob Noel, PGA. Michael will bring a high level of professionalism and knowledge to the Academy. Although Michael’s primary role will be Golf Club Fitting, he is an excellent teacher and is wonderful with junior golfers. Cissi Foster has joined the RNGA team as a certified Titleist Performance Institute fitness professional. She has been in the fitness industry for over twenty years. With her Master of Science in Health and her TPi, Pilates, AFPA certifications, she offers golfers a wide range of training protocols to improve their game. Cissi moved to the Louisiana area 3 years ago from Chattanooga, TN where she helped coach athletes of all ages to reach their physical potential. From sport-specific training to health and wellness, Cissi has a vast amount of experience and expertise. 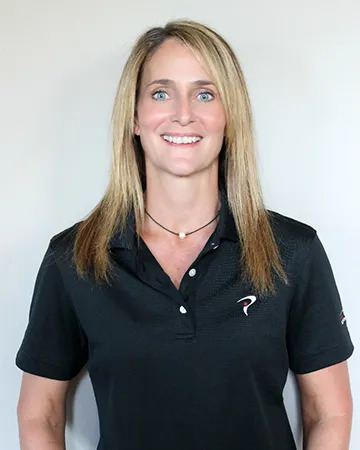 Cissi is one of only a few fitness professionals in the New Orleans area who has been Titleist Performance Institute certified. In partnering with RNGA, she is excited to be working with the coaches to help the athletes play at their highest level.